Home > Just for Cavies! Cavy Feeds Ear Tags Jewelry, Keychains, Stickers and More! Welcome to a NEW section JUST FOR CAVIES! Check back often as we are just building this section and hope to have more products every time you visit! Keep in mind that these items are specifically for cavies. 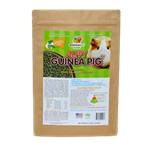 Many of our products in the rest of the store are also listed for use with Cavies/Guinea Pigs.